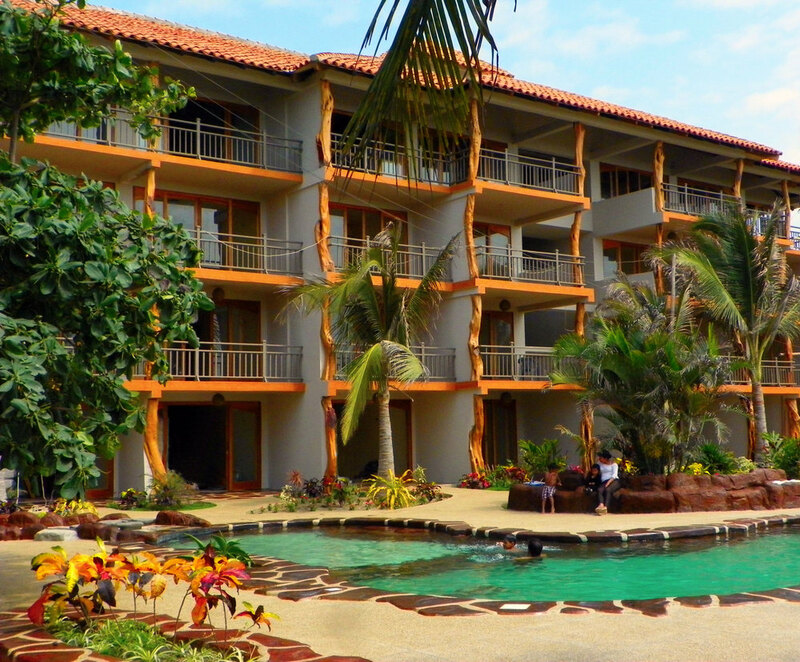 Hotel Lodging on Canoa Beach in Canoa, Manabi, Ecuador. 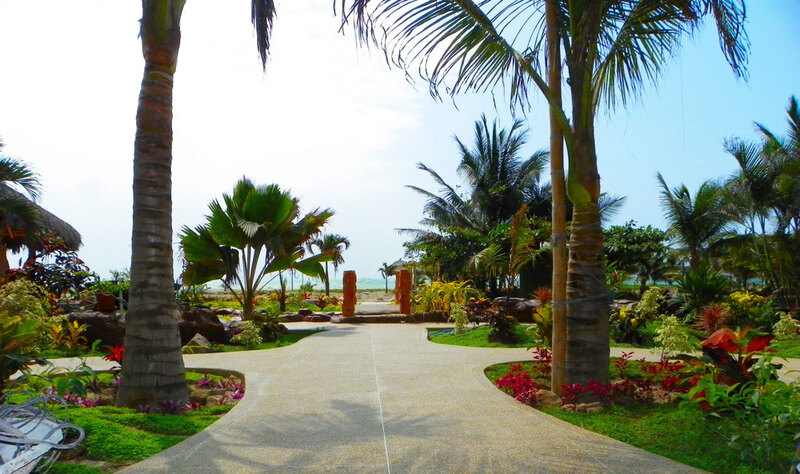 Your place to stay in Canoa. A backpackers paradise, no need for a hostel, stay with us when backpacking Ecuador and enjoy the poolside bar, lounge on the beach, surf the waves of the Pacific Ocean, or paraglide above the area. When visiting Ecuador and the Galapagos Islands be sure to venture to Canoa Beach. 21 Rooms, Air Conditioning, Poolside Bar, Oceanfront Lodging, Book Your Stay Now! The coastal lowlands of Ecuador offer many great places to visit. 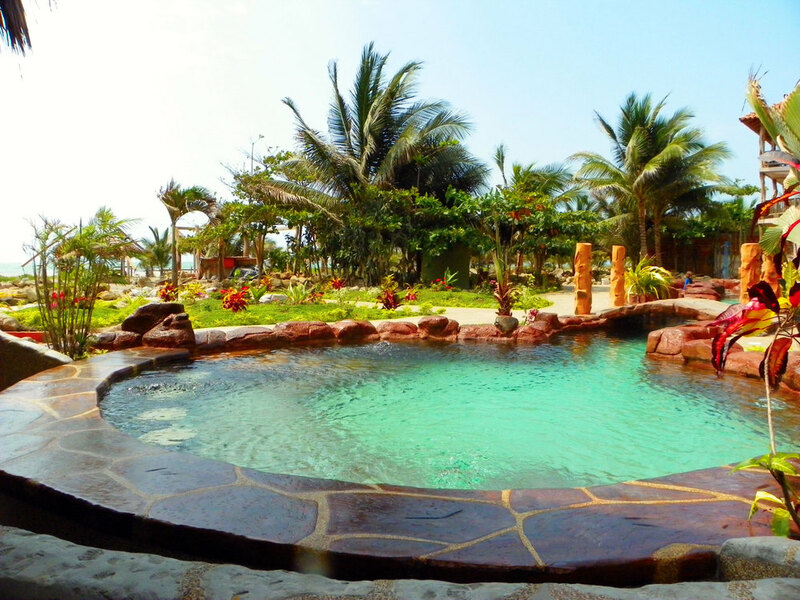 However, Canoa Beach has become a favorite among backpackers and surfers. Canoa Beach has long, dramatic stretches of sandy beaches with waves crashing. There are cliffs that engulf the area and provide a beautiful backdrop to a stunning scene. Canoa Beach offers a wide range of things to do. 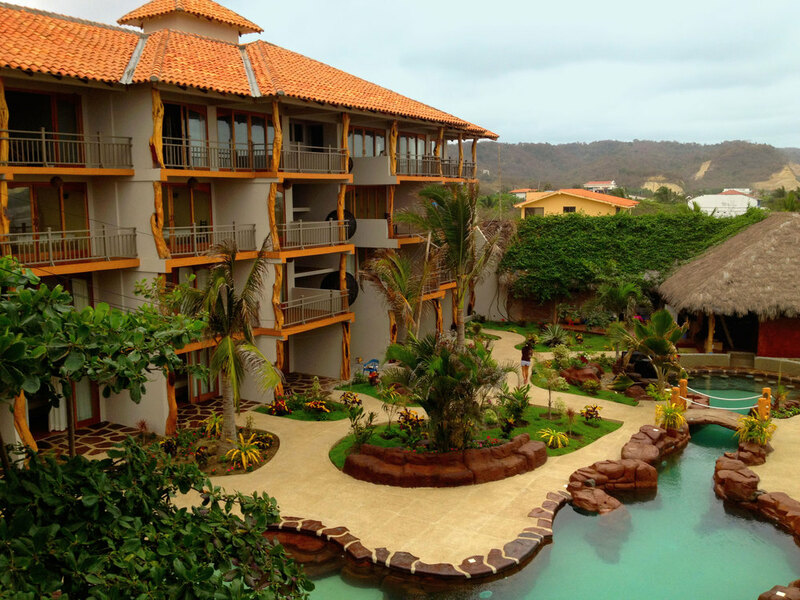 While staying at Canoa Beach Hotel you can lay on the beautiful beach soaking up the sun, enjoy a book, learn to surf, paraglide from the cliffs over the town, take a mountain bike tour, or enjoy a good meal, drink, and make some great new friends. Ecuador is home to one of the few natural wonders left in the world: The Galapagos Islands. The Galapagos Islands were formed from volcanic eruption, much the way Hawaii was, and consist of 15 main islands, 3 minor islands and many rocks or islets. The Galapagos Islands were first discovered in 1535 and appearred on maps by 1570. By the late 1700's it was a port for whalers and maritime fur traders. The first accurate and navigational maps of the area were drawn at this time. However, it wasn't until 1835 when Charles Darwin made landed on the shores of the Galapagos islands on his journey on the HMS Beagle that they truly became famous. The islands are home nearly 9,000 species of animals. The observation of these species helped lead to the foundation of Charles Darwin's theory "Origin of Species." The Charles Darwin Foundation for the Galapagos Islands were instrumental in creating the Galapagos Islands as a National Park in 1959. The Charles Darwin Research Foundation remains as a non profit research center for scientists around the world helping study and conserve the ecosystem and beauty of these wondrous creatures. Ecuador is small compared to the other countries of South America. However, at 256.370 km, it is roughly the size of the state of Colorado or twice the size of Great Britain. Ecuador shares its borders with Peru, Columbia and the sprawling Pacific Ocean. Inside those borders it has three main regions to enjoy: the dense Amazon jungle, east of the Andes, the coastal lowlands, west of the Andes, or the Galapagos Islands, 960 km in the pacific ocean. The Andes with their snow capped mountains create this divide in the country. Quito is the nation's capitol and most likely your first stop in the country. It is home to the only international airport, Quito is the highest capital city in the world. It was once a Spanish Colonial city and the remnants of that age are evident throughout. The Devil's Nose train ride is one not to be missed when backpacking through Ecuador. Starting and ending in the small town of Alausi, it takes many zigs and zags as it journeys 2346 down to 1860 meters above sea level, Sometimes you can even ride a top the train cars for this adventurous ride. Cotopaxi National Park is home to the most volatile volcano in South America. It is 53 km southwest of Quito. The volcano, referred to as "Neck of the Moon" by the Incas, towers over the surrounding area at 19,000 feet above sea level. It is the second most visited park in Ecudaor. Of course the Galapagos Islands are number one.